Many people have quite mixed views on this, but the fact is that many times playing video games are actually good for you. 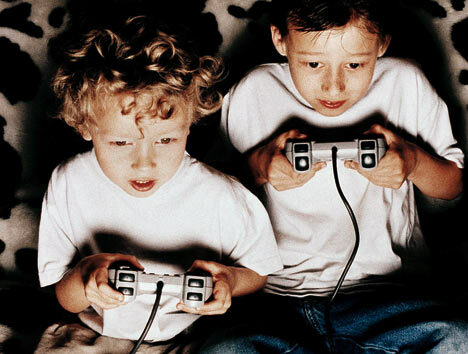 Games are no doubt making you addictive, and for kids that turned out to be a trained murderers. But one cannot say that video games only have negative impacts. Research on this has showed that there are plenty of facts which can be quite beneficial for you. Let us take a look at what are the good things you can get out of playing a lot of video games. Video Games – Why Its Better! They can improve motor skills, which mean you will be more active. You must be thinking how. Well research have provided that children playing the games like which evolves the use of joy sticks and sensors to make games more interactive makes you put your physical effort and also force you to move rapidly and thus it improve your motor action. According to medical experts, Games are pain relievers. Studies have shown that, people in extreme pain when get involved in playing games forget the actual pain. Patient’s pain has got decreased up to 30 to 50 percent when they get themselves evolved in gaming stuffs. Because you watch the things quite keenly it also improved your eyesight and you tends to start watching things very deeply. Games increase your perception and cognition level and this helps you to take fast decisions. They also enhance the creative skills and create an extraordinary imagination. Pink Laptops a Dream For Every Girl! Fully Framed Compact Sony Cyber Shot DSC-RX1 Coming Soon?